For nearly a decade, Army Combat Boots have remained largely unchanged, but this month a pilot program for four new prototypes is coming to Fort Jackson. The installation is to be one of three initial testers of the new ACBs. Incoming Basic Combat Training Soldiers to the 1st Battalion, 13th Infantry Regiment will be the guinea pigs. Fort Jackson hasn't had new ACB models since 2010, when the Army released the most recent round of noteworthy technical and material changes. 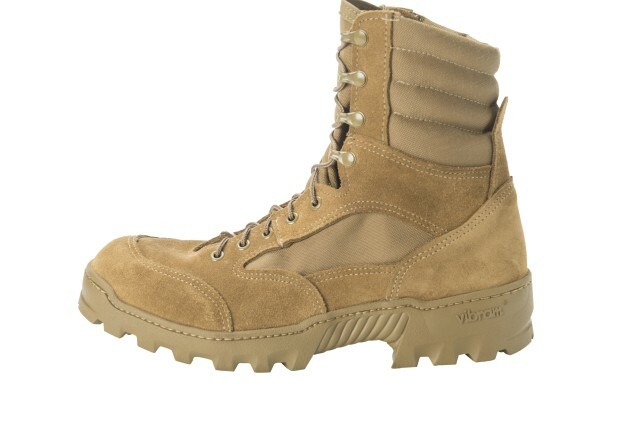 The shipment of new boots is set to arrive by Jan. 25. Fittings will begin shortly thereafter with the start of 1-13's cycle. Each Soldier in the test unit will still receive the three standard pairs of boots provided to every trainee -- two pairs of summer boots and one pair for cold weather -- but they will also get one of the four pilot model pairs, as will some cadre. The goal is to "provide the most comfortable, efficient boots," said Charles Davis, clothing initial issue point branch chief at Fort Jackson. Davis will be acting as the liaison between the U.S. Army Research, Development and Engineering Command Soldier Center at Natick, the ACB developer, and 1-13. Another aim is to "cut down out-of-pocket expenses for Soldiers," Davis added. Many Soldiers opt to buy "tennis shoe boots" after graduating; they see their drill sergeants wearing them and follow suit, Davis said. 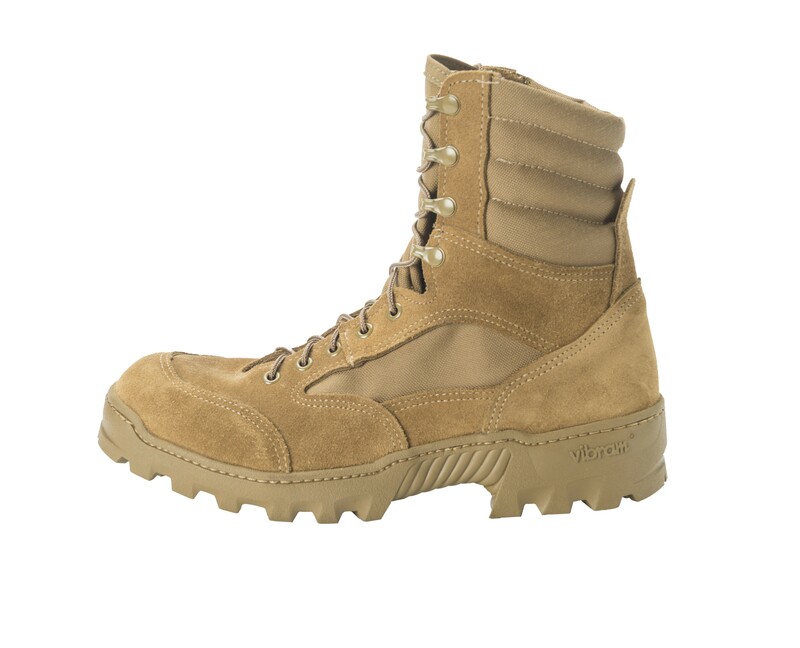 Commercial-off-the-shelf boots tend to be lighter, more flexible and more comfortable than ACBs, Davis continued. They act more like athletic shoes. "I think the boots they issue now, they're like regular work boots," said Sgt. 1st Class Miguel Pasana, a drill sergeant with the 1st Battalion, 13th Infantry Regiment. They take longer to wear in and are heavier than COTS, Pasana added. This test run should show if the Soldier Center was able to improve ACB comfort, weight and flexibility while maintaining their protectivity and durability. "Longevity" is another key characteristic of good combat boots, Davis said. It's a waste to have to replace them every month or two, he added. The Soldier Center experimented with swapping out the leather material for improved flexibility and changing the boots' outsoles to decrease their weight. To gauge effectiveness, Pasana said 1-13 will be tracking the amount of miles put on the boots and the frequency of related injuries trainees have while wearing them. This spring, the Soldier Center will reportedly conduct focus groups, take surveys and do lab testing on the new models to gather feedback on traits like flexibility and cushioning. "I'm just hoping (the initiative) is a good thing," Pasana said. Davis concluded that the boot updates are important to the Army's success. "The mission of the Army is constantly changing," so boots need to evolve, he said. Having a good pair of ACBs during BCT is key to graduating on time, Davis continued. "I think it's very important" to have good pair of boots, Davis said. "There's going to be a lot of miles put on the boots … Soldiers want to be comfortable." Blisters are problematic for trainees, and avoiding them and other boot-related discomforts could mean fewer Soldiers recycled, he added.